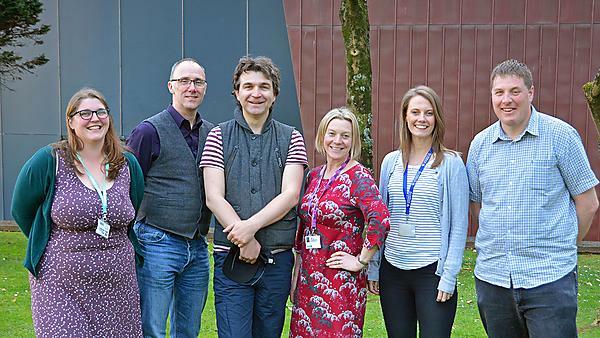 Staff from across the University of Plymouth’s Faculty of Science and Engineering have been shortlisted for the biennial Papin Prizes. The awards, to be presented at the 2019 Higher Education Technicians Summit (HETS), aim to recognise the skills, talent and experience of technicians in higher education and research, across the UK and Ireland. There are a number of categories for both individual and team awards, and University staff have been recognised for the support they provide to both staff and students. Tim Absalom, Shaun Lewin and Jamie Quinn, who make up the GeoMapping team, are finalists for the Technical Team award. Supporting the geospatial work of the School of Geography, Earth and Environmental Sciences and the wider University community, they work across a range of topics including data capture, spatial analysis, cartography and visual communication, helping both staff and students in research and teaching. The Papin Prizes are named after Denis Papin, a 17th century technician who worked with Robert Boyle. He invented the steam digester and was one of the first technicians to publish in his own name. HETS 2019 is being held at the University of Birmingham on Tuesday 25 June.